Apples, like all fruits produce in cycles. A couple years ago I had a ton of apples. Last year none – which was unusual but this is a young tree. If the number of blossoms is any indicator it looks like this might be another very good year. 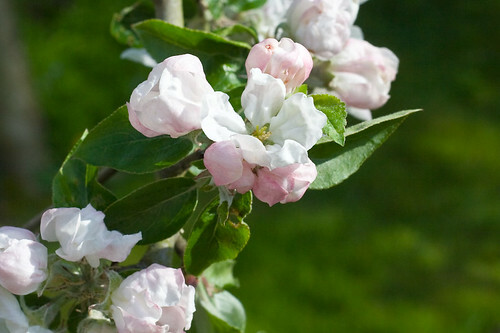 Although if all these blossoms become apples I’m going to need to thin them – something I’m bad at. I just hate "killing" the little tiny guys. But if you don’t then all the resulting apples are small. I guess we’ll cross that bridge when we get to it.